This striking ‘one-off’ necklace is made using high quality Red Swarovski Beads and a large semi precious Howlite cross. It features a Mexican Milagros praying woman. 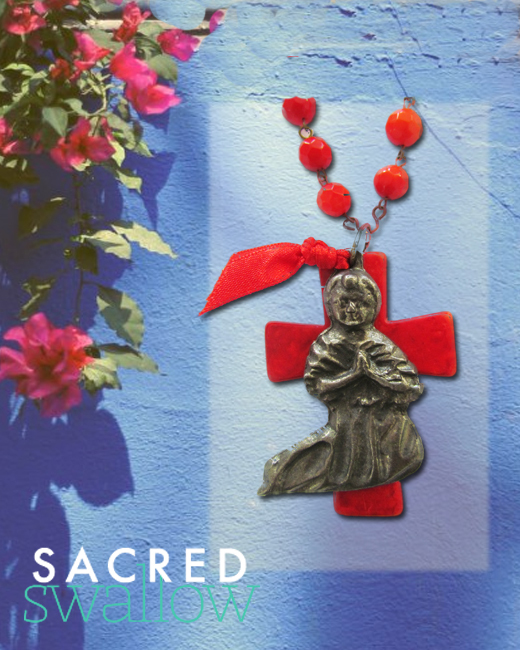 The word milagro means miracle.Perhaps whilst wearing this, you will be reminded to pray for miracles !